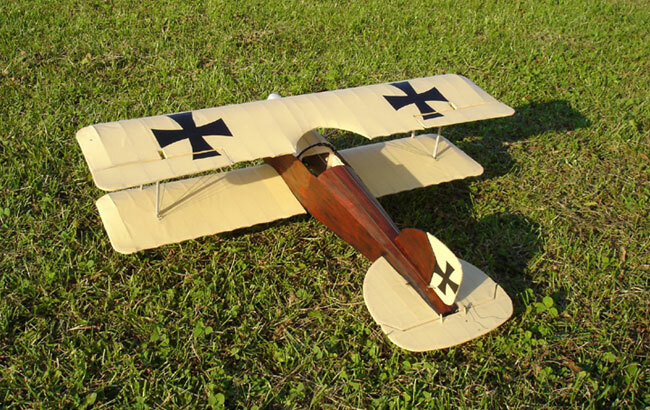 Sport 1/14 scale WWI German fighter designed by M.K. Bengtson. The short kit includes laser-cut balsa and plywood, and printed plans.